Quinoa is super good for you and works wonderfully in salads, such as this spicy quinoa salad which adds the North African flavour with Pronto Mama Harissa Sauce. Place the butternut in a roasting tray and drizzle with olive oil. Roast at 200°C until golden brown. 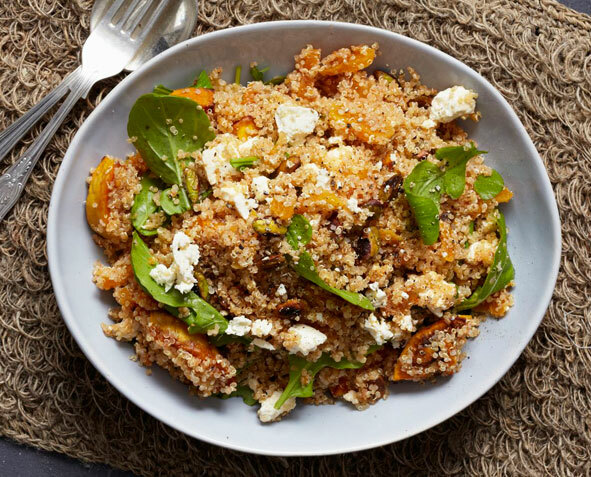 Mix the quinoa, cooked butternut, pistachios and feta in a medium-sized serving bowl. Whisk together the harrissa sauce, olive oil, lemon juice and parsley and season it well with salt and pepper. Pour the dressing over the quinoa mixture and mix through. Add the rocket and toss together just before serving.